With so many wireless chargers in the market, it’s not easy to choose the best one, right? After comparing nearly 50 wireless fast chargers, we have listed the best wireless chargers in this article. Before we present our recommendation of the best wireless chargers, let’s talk about how wireless charger works. What is Wireless Charging Standard? The difference between the wireless charging of iPhones and Android Phones. Other features that should be considered for a wireless charger. What is the principle of wireless charging? Wireless charging has been in the market for a long time, there are multiple wireless charging standards, but but with the release of Galaxy S8, the iPhone X, iPhone 8, and iPhone 8 Plus, Apple now supports Qi-based wireless inductive charging on its latest phones, other standards are essentially dead, needless to say: Qi is the future of wireless charging. In addition most of Android phones support Qi too, so this time for Apple and Android start using the same standard. How does Qi wireless charging work? The process is simple: Electric -> Magnetic -> Electricity. Qi is a simple and low cost technology, but the shortcoming is the mobile have to keep close to the wireless charging pads. For iPhoneX / 8 / 8 Plus, there are two protocols. Qi Protocol of the Industry’s Open Universal Charging Standard, which only support 5W. Apple’s own private Protocol, which is up to 7.5W. For some Android phone, most of them support Qi Wireless Charging, and some phones support up to 15W. E.g. Galaxy S9/S9 Plus. So iPhone X/8/8 Plus support quick-charging speeds with up to 7.5W of power, but you have to use a wireless charger authorized by Apple, and you can also wait for its own AirPower wireless charger. For most Android phones, it will be easy to make the decision, just choose Qi Wireless Charging stand. Certified by the WPC: Wireless Power Consortium has been leading the way in wireless charging with an open standard for all, since 2008. WPC certified products also means that a charger has been tested and found to be both safe and in compliance with the Qi standard. Charging speed: The Qi 1.2 standard support charging speeds of up to 15 W, but 5 W and 7.5 W chargers are more common. The new iPhones only support up to 7.5W fast charging after upgraded to iOS 11.2. Design: Someone maybe think it’s useless for a product, but I think design is not only how the wireless charger looks, but also the functions, such as charging-indicator lights. Brand: Choose bigger brand. No one can guarantee their products always work well, but bigger companies usually give their customers better warranty and support. iPhone 8 has been released for nearly one year, this also means that we have waited for Apple wireless charger for nearly a year. I think they need more time to complete it. Fortunately, Samsung has released it’s new version of Qi Certified Fast Charge Wireless Charger Stand (2018 Edition). Compare to the previous version, the total charging time is reduced by up to 50 minutes. Of course, some of the previous features, such as cooling fan, Qi certified, Fast Charging Wall Charger with USB-C (Type C) Cable are kept down. For wireless charger, there doesn’t have so many technology. The main concern is charging efficiency and appearance. In general, there is nothing wrong with brand products. It’s a decision to choose samsung’s fast charger. Fast Charging, charging time is reduced by up to 50 minutes. Since Apple haven’t release their "AirPower", they recommend two Wireless Chargers, and Belkin Wireless Charger is one of them. Belkin is an famous American manufacturer of consumer electronics that specializes in connectivity devices (From wiki). That’s why they becomes the supplier of Apple. For the Wireless Charger, the biggest feature is wireless 7.5W fast charging output is optimized for iPhone 8, iPhone 8 Plus, & iPhone X. 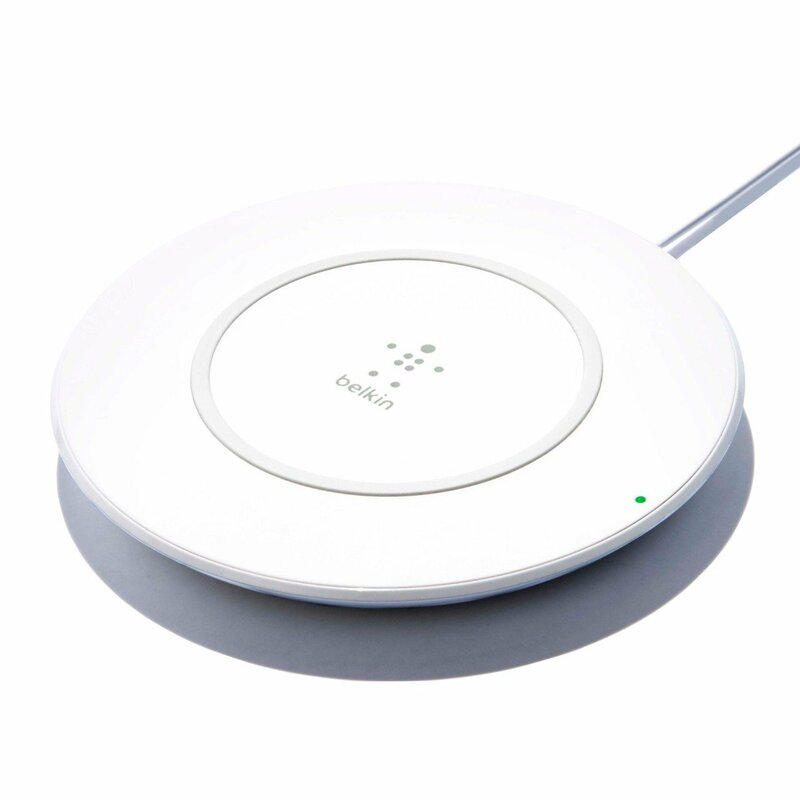 And it support up to 3 years of protection after you register your charging pad at Belkin.com. In 2018, Belkin launched more new products in CES, we put it together, you can esaily compared in the following picture. E.g. up to 10W Wireless Charging stand, Wireless Charging pad, and Dual wireless charging pads like AirPower. 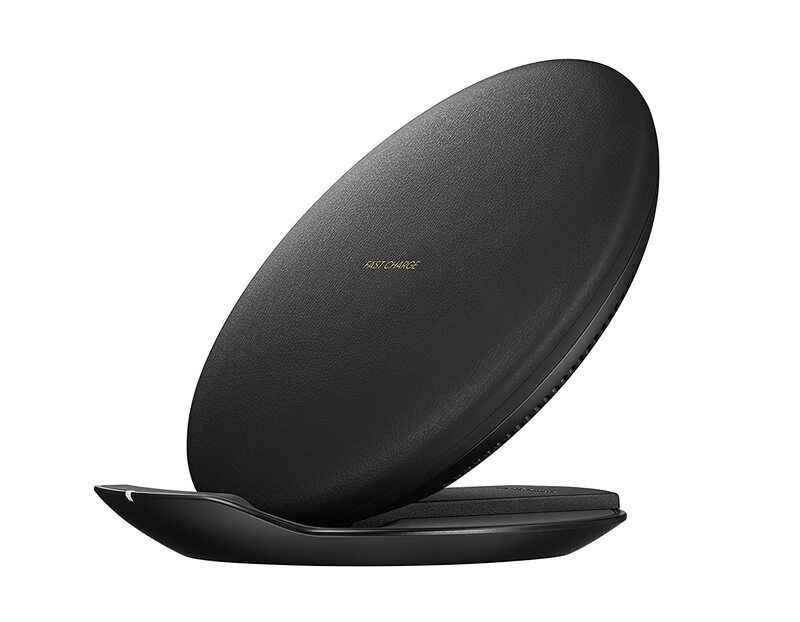 Since Samsung has support wireless charging from S6, this is the Fourth Generation wireless charger. Samsung has a wealth of experience in wireless charging. Needless to say, in the field of smartphones, as the second largest smartphones maker, they have enough data and experience to improve their products. In addition, Samsung is also a member of WPC. After a simple understanding, let’s check out the features of this wireless charger. Fast Charge: It’s up to 9W wireless Fast Charge on select smartphones. For iphone with the iOS 11.2 update up to 7.5W for fast charging. Design: it’s Convertible Stand design, is very creative and convenience. Fast Charge, up to 9W and suit for most Android and last iPhone. Convertible Stand, easily convert from a pad to a stand. Anker is a new company, at the beginning it is mainly used to produce portable charger. With the development of company, Wireless Charger is also one of a main product of it. For the design: it is not special, but there are still some people love it. A circle of non-disruptive breathing effect LED can quickly show charging status. Not a circular design can considered a feature. 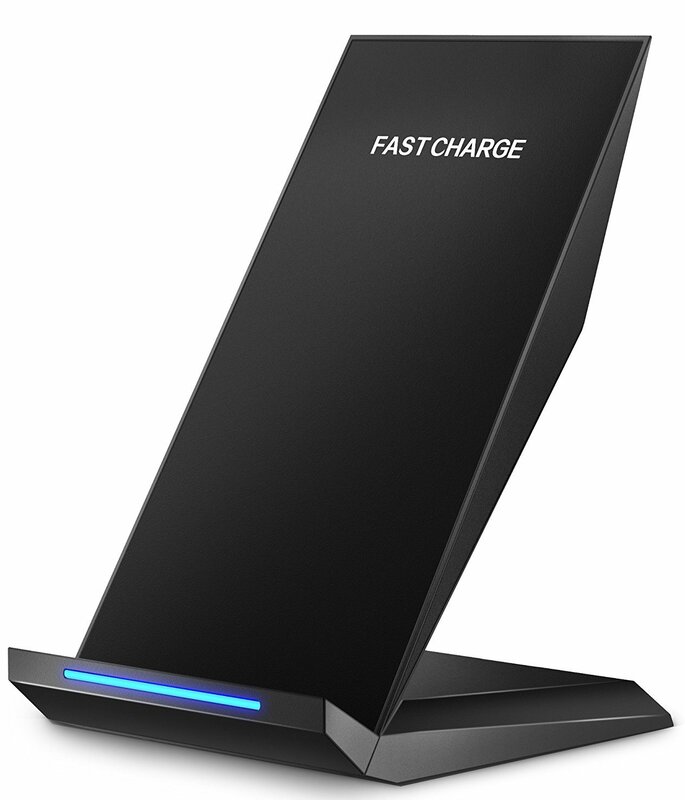 Fast Charge: it has a Fast Charge Mode enables wireless charging up to 2X faster. Normal Charge Mode for Nexus 5/6/7, iPhone 8 (Plus), iPhone X, but only Fast Charing for Galaxy S8/ S8+ S7 edge / S6 edge+, and Note 5 (please according to the instructions). Its price is only half Apple’s recommendations. 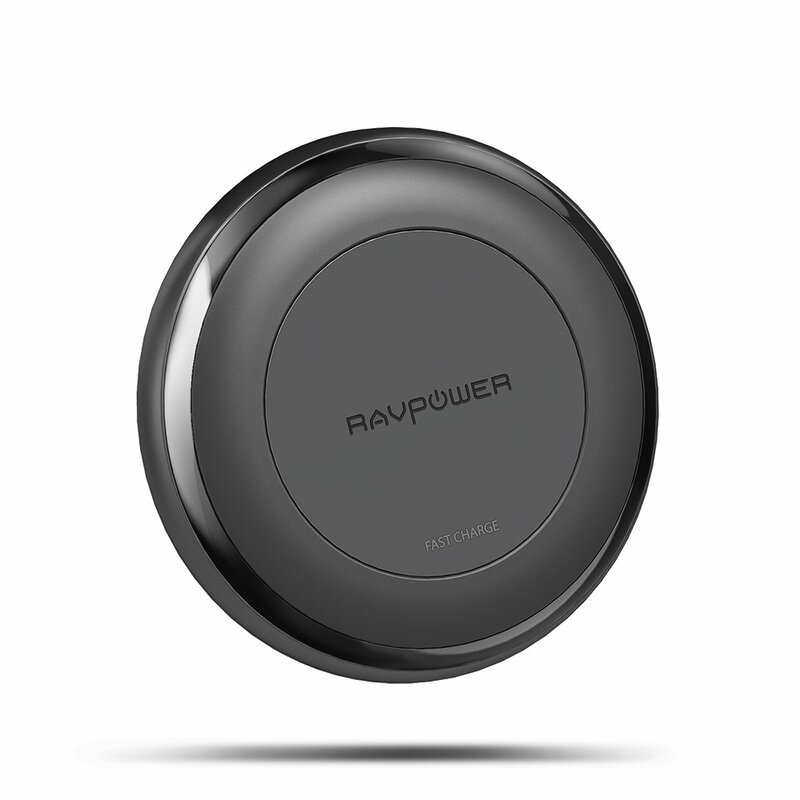 RavPower is one of the most popular charging accessory companies around, competing with the like of Anker. With the feedback of the market, the company proved to be adept at making wireless chargers. In addition, it’s price tag is cheaper than Samsung and Belkin. However, compared with anker, the main difference is design not price, and they are all a good choice to replace official. Performance, the RavPower Fast Charge outputs up to 10W of power for some android devices, up to 7.5W for iPhone X/8/8 Plus, and All Qi-Enabled Devices. While quick charging doesn’t offer as significant of an advantage as it does with wired charging, it’ll still cut down on your charging time. There are a few downsides, e.g. normal appearance, and it’s a flat charger, so it can’t be allowed for a propped up or angled placement. 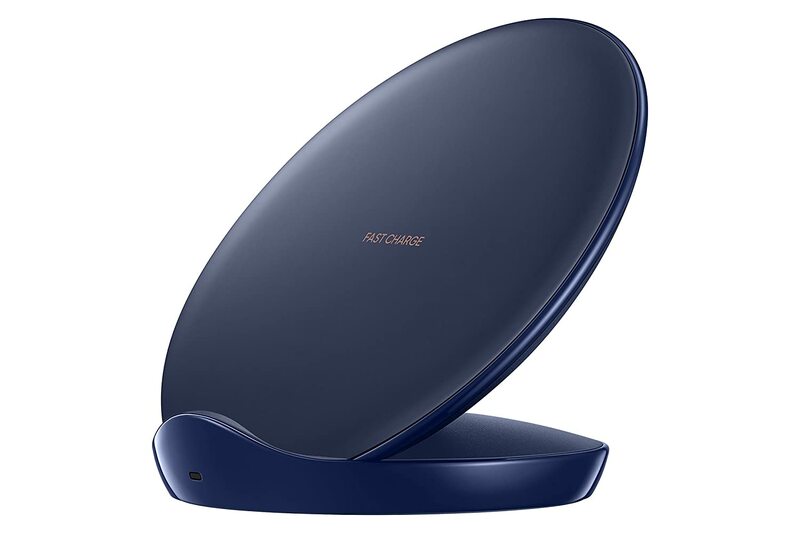 Relative to the above wireless chargers, its main feature is it stands and the price is affordable. In addition, it only cost a third the price of Samsung Fast Wireless Charger, works with a case on, and takes up less room. Since it only works with iPhone in standard wireless charger modes, and the light will keep on green and always in charging status even if a phone is fully charged, I won’t recommend for iPhone users. Fast Wireless Charger Modes for Samsung Galaxy Note 8, S8, S8 Plus etc. Fast Wireless Charging Pad Stand is ergonomic. Will keep on grean light and always in charing status for iPhone, but works well for Android. 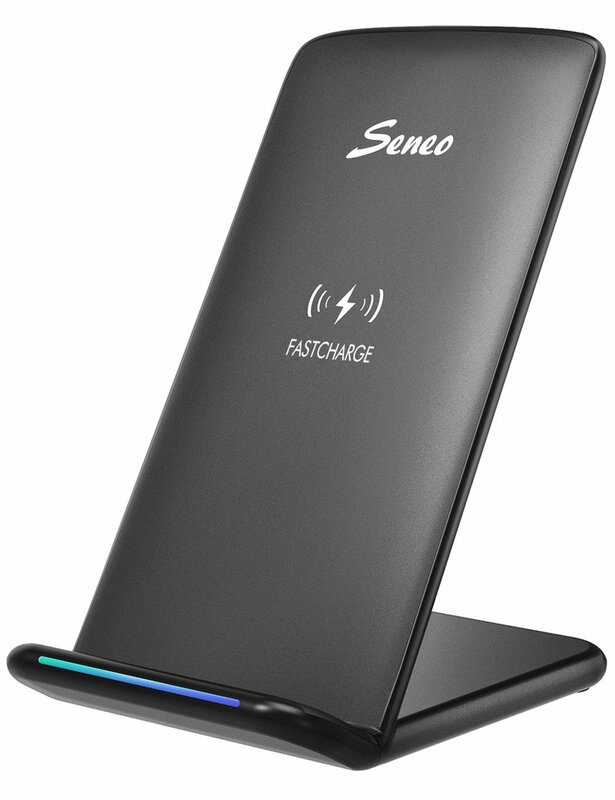 7. iPhone X Wireless Charger, Pasonomi Qi Fast Wireless Charging Stand for Samsung Galaxy S9 Plus S9+ S9 Note etc. The Pasonomi fast wireless charger is offering Qi 2.0 fast wireless charging (QC 2.0 adapter required). iPhone X, iPhone 8, iPhone 8 Plus and other qi-enabled devices will charge at regular wireless charging speeds. It can power a Samsung Galaxy device from dead to fully powered in around two hours. That’s a full 1.4 times faster than a standard Qi-enabled charging pad. But only support regular wireless charging speeds for iPhone X, iPhone 8, iPhone 8 Plus and other qi-enabled devices. The design of the Pasonomi is eye-catching, with both vertical and horizontal charging is supported while still allowing active use of the device. Additionally, an intelligent LED indicator indicates shows the status of the current charge status, so you’ll always know when the device is ready for removal. Intelligent LED indicator shows the status of safety charging. Customers can charge their phone vertically or horizontally. Design may be liked by some people very much. Fast charge mode is supported, but requires a QC 2.0 adapter(NOT INCLUDED) as its power source. This is a great video visually explains how does Wireless Charging Work? If you are iPhone user and perfectionist, Belkin and mophie are the only choice for you. 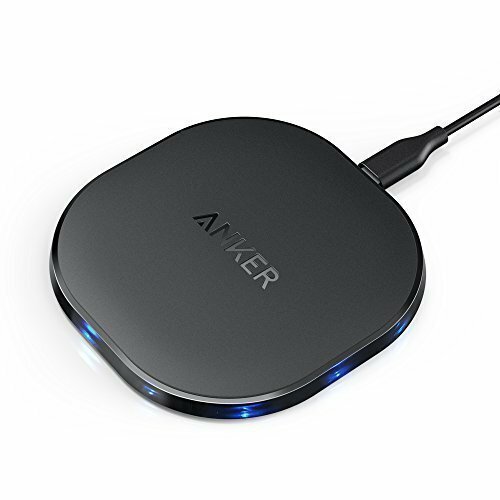 If you want a lower price you can checkout: Anker. In addition, Samsung is more expensive, but I like its design and the wireless charging technology is better than the others. ThingsReview.com is a place to discover unbiased product reviews for consumer products. Let us do the product research for you! © Things Review all rights reserved.